The two surprise packages of the Guinness PRO14 season begin their final assault on the play-offs and qualification for next year's Champions Cup at the Sportsground tonight. In the home dressing-room, Connacht sit third in Conference A, 11 points behind Munster and level with Cardiff Blues who host Scarlets in a pivotal Welsh derby tonight. Up against them are a Benetton side who have been the story of the season. Second in Conference B, they are four games from their first appearance in the post-season. Even without a number of their internationals, the men from Treviso have never pitched up in Galway in better shape. Connacht, meanwhile, are out to finish a promising season by clinching a return to the play-offs for the first time since they won the tournament in 2016. With the Welsh regions struggling and the Cheetahs far worse than they were last season, there is an opening for a new look to the final six and these teams are attempting to step into the breach. Benetton are unbeaten in nine league games, while Connacht have only lost once in Galway since September. The Italians traditionally struggle against the western province, but they are an improved team this season and the home side won't take them lightly. "The boys have been doing their own homework this year. You've just got to look at their Benetton's stats, the quality they've got. They're second on that ladder and it's a competitive table," head coach Andy Friend said. "They're a good side and no one is under any false illusions about this one. We've had some good performances out there on the field this year and we've managed to get our fair share of wins, but we'd like a few more. "All eyes are on this one. We haven't spoken much beyond that. Right at the start of the last block we said we know every game is a must-win. "We know what we've got to do and we know if we keep winning games of football we'll remain in control of our destiny." The Australian keeps the majority of his returning Irish internationals on the bench, with Ultan Dillane named to start. Bundee Aki and Quinn Roux get the weekend off, but Jack Carty and Kieran Marmion are named in reserve. Darragh Leader starts on the right wing while Caolin Blade, fresh from his stint in Irish camp, takes Marmion's slot at scrum-half. Jarrad Butler captains the team in a strong back-row that also features Colby Fainga'a and Eoin McKeon. Benetton head coach Kieran Crowley can call on six of the Italian Six Nations squad to start this evening. Lock Alessandro Zanni featured against France last weekend, full-back Luca Sperandio and out-half Ian McKinley were unused replacements in Rome. Tommaso Benvenuti, Nicola Quaglio and Marco Riccioni were also part of Conor O'Shea's plans. After a short break, Friend is hoping his team kick off their run-in in style. "It's a must-win. Hopefully we have got 10 games left but that's where we're at. We're at that stage of the season and it's really important for us to get another win and a good performance," added Friend. "I was really pleased with the boys against Ospreys, but we've had a chunk of time off and we've come back and it's important that we pick up where we left off. "There is a lot more to Benetton's game now. They've got the physicality up front, but they've also got the skill-set. They have been scoring lots of tries, have a good kicking game, can punch through the middle and offload too." 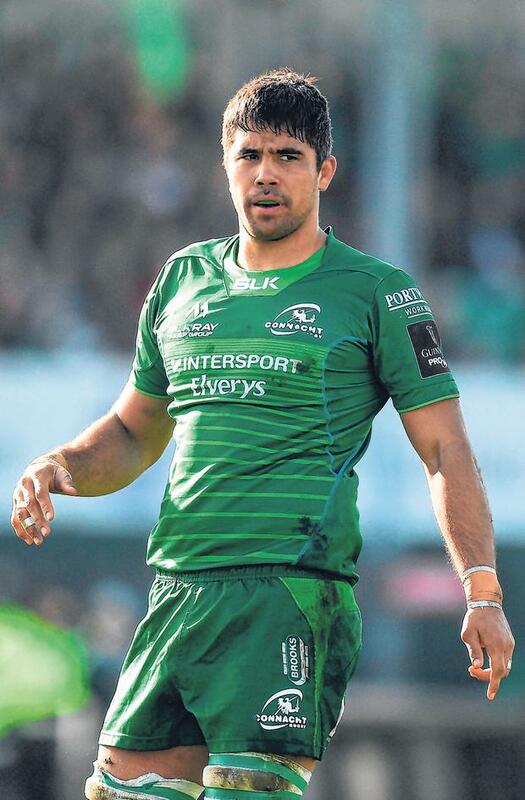 With a European Challenge Cup quarter-final against Sale Sharks to look forward to in the coming weeks there is a lot for Connacht fans to get excited about in what will be a pivotal period. A win tonight would get them up and running for the run-in. CONNACHT - T O'Halloran; D Leader, T Farrell, P Robb, M Healy; K Godwin, C Blade; D Buckley, S Delahunt, F Bealham; U Dillane, J Cannon; E McKeon, C Fainga'a, J Butler (capt). Reps: T McCartney, P McCabe, C Carey, G Thornbury, E Masterson, K Marmion, J Carty, S Fitzgerald. Benneton - L Sperandio; R Tavuyara, T Benvenuti, A Sgarbi (capt), M Ioane; I McKinley (capt), D Duvenage; N Quaglio, H Faiva, M Riccioni; I Herbst, A Zanni; M Lazzaroni, G Pettinelli, T Halafihi. Reps: T Baravalle, D Appiah, T Pasquali, M Barbini, R Barbieri, G Bronzini, A Rizzi, T Iannone. Ref - A McMenemy (Scotland).